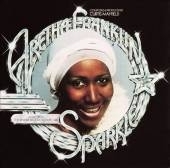 The original Sparkle Soundtrack was release in the mid 1970s. All songs were written by Curtis Mayfield (1942-1999) and featured Aretha Franklin - "The Queen of Soul", who recently turned 70 on 25 MAR 2012. Please note Sparkle set the tone for the movie Dreamgirls. Ms. Houston, co-producer of the movie, wanted Aaliyah (1979-2001) to play the role as Sparkle. Unfortunately, Aaliyah passed away too soon as well! Checkout Aaliyah's You Tube remake of Donny Hathaway's (1945-1979) "Giving Up" Video.